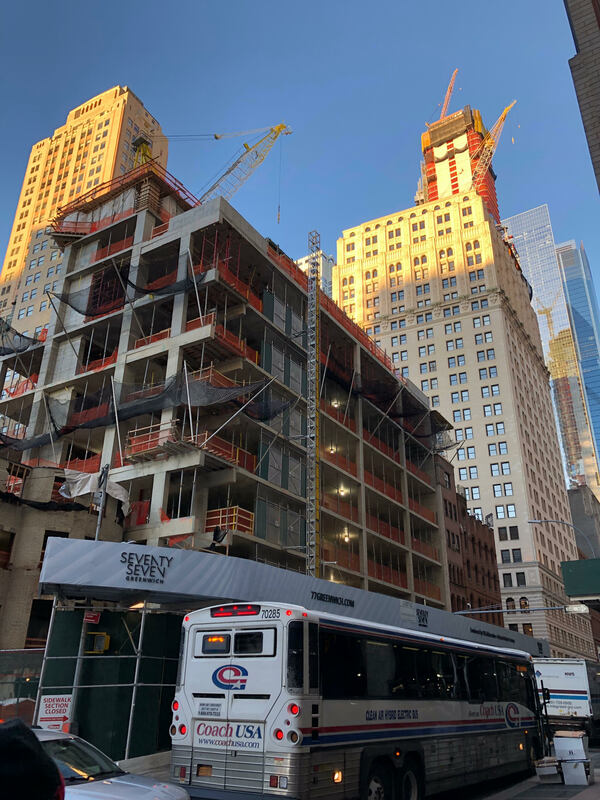 Work on 77 Greenwich Street is progressing rapidly. 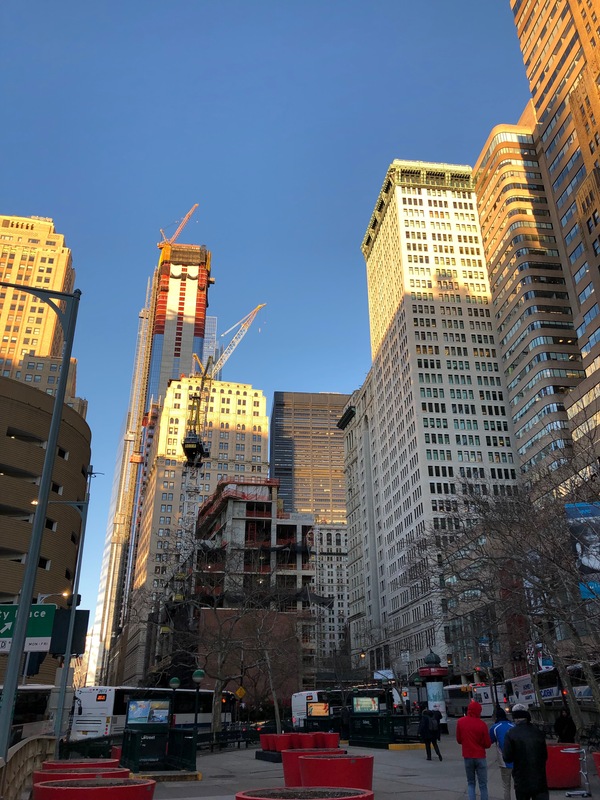 The imminently 500-foot tall and 42-story building is quickly rising above its podium, and has already reached its tenth floor. The FXCollaborative-designed tower will house 90 residential units beginning 150 feet above the streets down below. 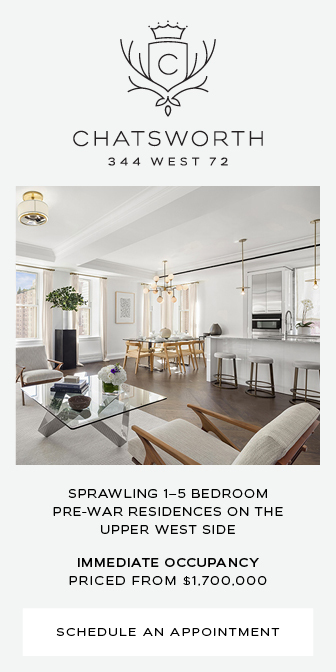 Interiors are being designed by Deborah Berke Partners. Trinity Place Holdings is the developer of the site, which sits on the western side of the Financial District. Made from reinforced concrete, the residential portion of the building should continue its rapid rise. The cocoon safety netting should also arrive and be installed on the perimeter sometime within the next few weeks. 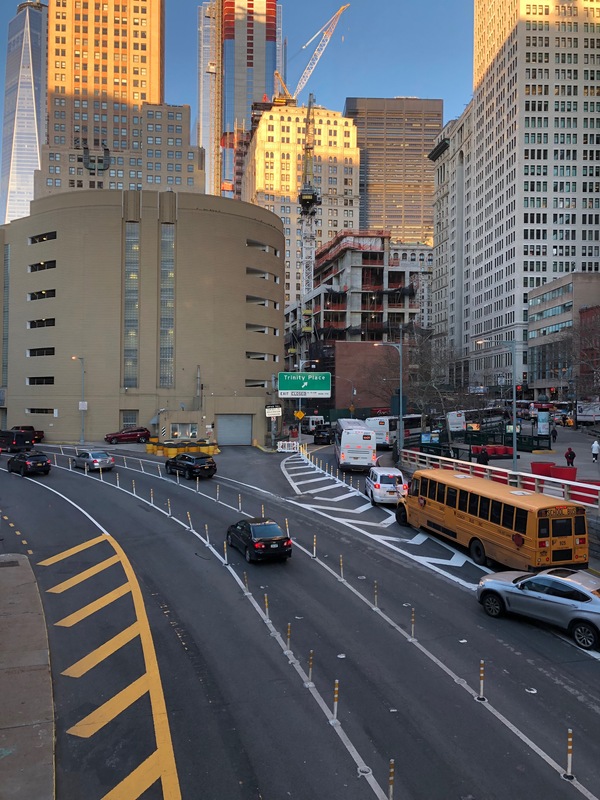 Looking north from Elizabeth Berger Plaza or from the pedestrian bridge over the Brooklyn-Battery Tunnel, now renamed as the Hugh L. Carey Tunnel, the profile of the structure is rather slim. From the east and west, the elevation spans the length of the rectangular-shaped site. The property is located next to the landmarked Robert & Anne Dickey House, and is right off the R and W trains at Rector Street. The Dickey House’s 209-year old facade is being preserved and integrated into a new elementary school that will be located on the bottom floors of the new structure. Sales of the residential units are expected to launch sometime this spring. 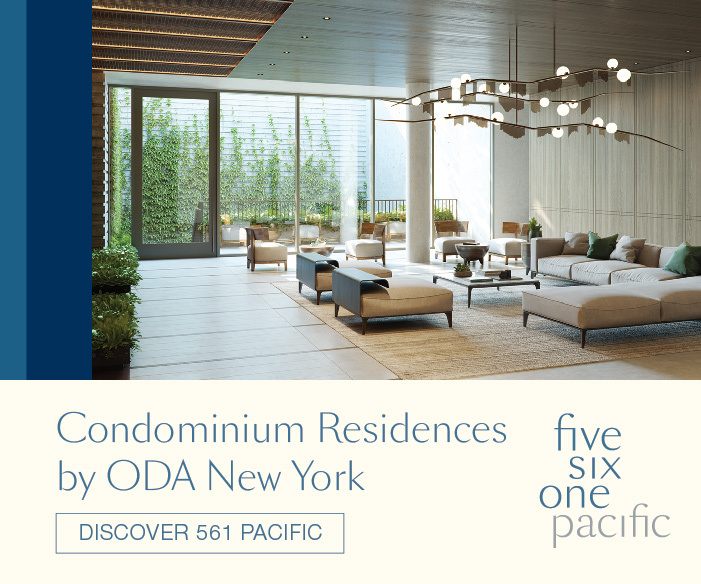 Units will range from one- to four-bedroom spreads, with pricing to be announced sometime soon. 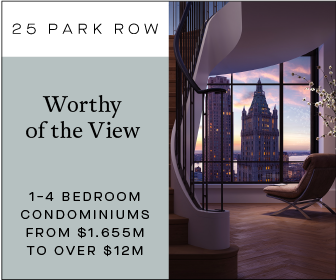 Views of the Hudson River to the west, Battery Park and Governors Island to the south, and the Financial District skyscrapers to the east will be impressive. 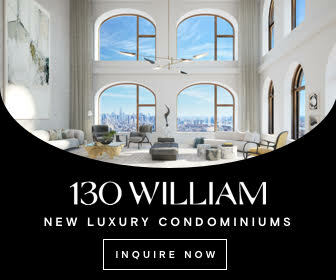 The World Trade Center will easily be seen looking north, along with other notable new projects like 125 Greenwich Street and 74 Trinity Place. 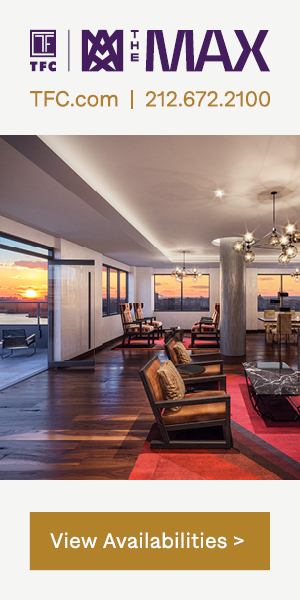 These views will be accompanied by outdoor landscaped terraces, complete with barbecue grills. The building could top off by the end of 2019 thanks to the thin rectangular-shaped floor plan. 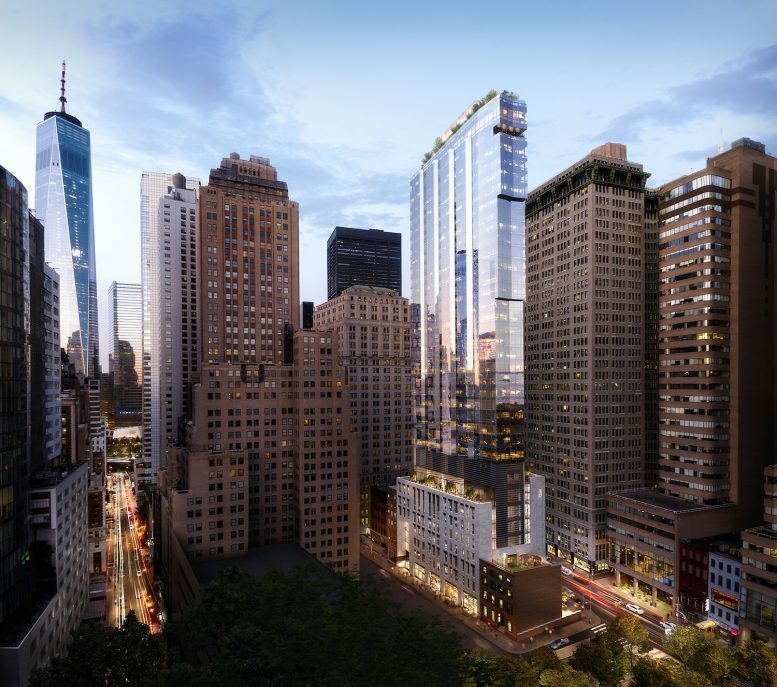 Completion of 77 Greenwich Street is expected sometime in 2020. Be the first to comment on "77 Greenwich Rapidly Ascends Towards 500′ Pinnacle in the Financial District"